Charles Hoskinson, the well-known CEO of IOHK and one of the co-founders of Ethereum, has recently made some waves in the cryptocurrency community through bringing forward a series of announcements originally slated for August 15th. More specifically, Hoskinson’s reason for pushing up these announcements is that he will be traveling in the coming days and will, therefore, be hard to reach and unable to give the announcements sufficient attention. In the video released by Hoskinson, he started off by commenting on the current market sentiment, downplaying it by stating ”everything is fine”. Moreover, he indicated that long-term cryptocurrency investors should remain unfazed by the current volatility, noting ”we’ve been here before”, and that volatility is an integral part to the current state of cryptocurrencies. Hoskinson then moved on to the major announcements in question, stating that IOHK has lately been hard at work on the previously announced Prometheus project, as well as a hitherto unannounced reference project called Icarus. According to Hoskinson, Icarus is a full wallet running in Google Chrome, and is primarily intended to be used by the company’s partners in a bid to provide a solid and well-worked frame of reference. Whilst the Icarus Google Chrome extension does not have a full copy of the blockchain, it will still be able to perform the same functions as the Daedalus wallet already does. Until now, Daedalus has been the only cryptocurrency wallet to hold ADA and allow transfers to other wallets. This means that Icarus will be a very attractive alternative for those who, for some reason, cannot get Daedalus to work. Moreover, Daedalus allows for a one-click install process from the Chrome web store, as well as allowing users to import a Daedalus wallet into Icarus. Hoskinson also mentioned that Icarus is fully security-audited, and will serve as a ”vanilla light wallet” reference of sorts – not unlike how Google’s vanilla Android experience serves as a reference for Android manufacturers. Icarus will effectively integrate ADA into the Google Chrome browser, and it will similarly permit mobile partners to construct third-party applications. Hoskinson mentioned that Icarus is intended to be forked and re-skinned by developers, whilst providing a secure and thoroughly developed reference framework for the community and developers – again, a move Hoskinson stressed was inspired by Google’s work on Android. 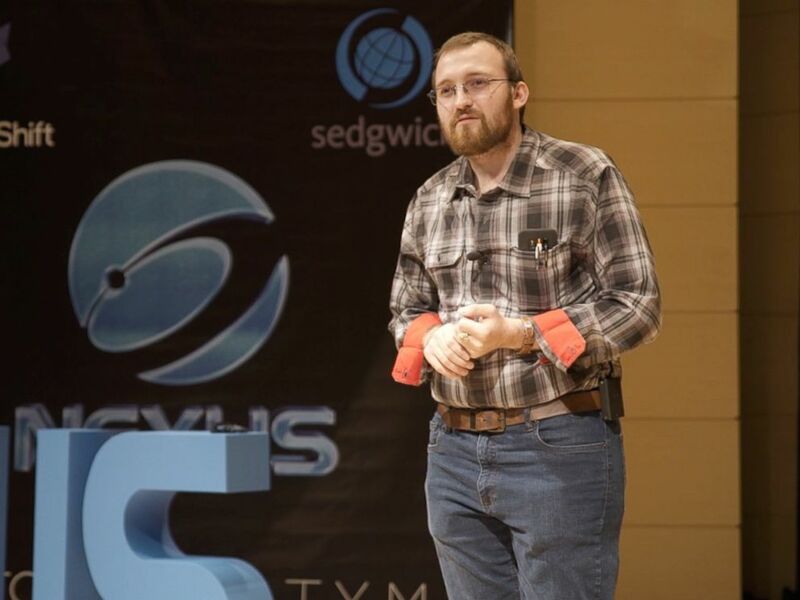 Hoskinson stressed that he hopes that this will eventually lead to a fully-fleshed ecosystem built around Icarus, potentially with support from multi-sig hardware wallets such as Trezor, Ledger, and more. In addition to this, Hoskinson also revealed that IOHK has decided to allow for third-party contributions to Cardano. According to Hoskinson, this will ideally lead to a more open-sourced approach or a so-called ”community-driven flow” in overcoming obstacles and reaching goals. This marks a new focus on adoption from IOHK’s part, which Hoskinson believes will increase merchant adoption through more vibrant third-party support and a broad ecosystem. Furthermore, Hoskinson also expressed his vision of an ADA-based BitPay competitor – tentatively dubbed ”ADAPay” by Hoskinson – which would provide consumers with a way to start trading ADA within minutes, providing a more consumer-friendly experience. Hoskinson’s video provides greater detail and is well worth watching, however, the main gist of his announcement video is that increased adoption and third-party applications will henceforth be put front and center. Furthermore, it promises that the community will have an even greater chance to affect the future development of Cardano and ADA wallets, as well as a myriad of other issues such as smart contracts.